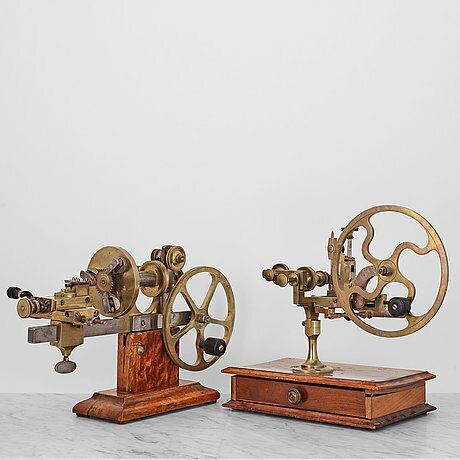 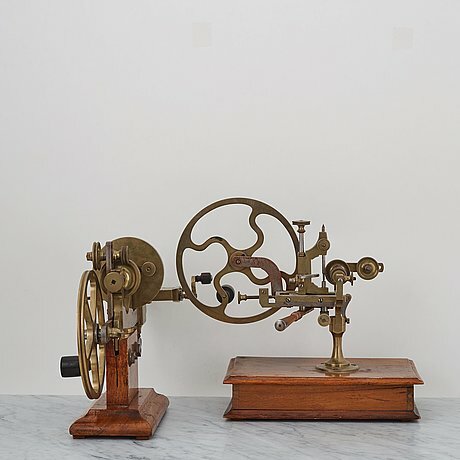 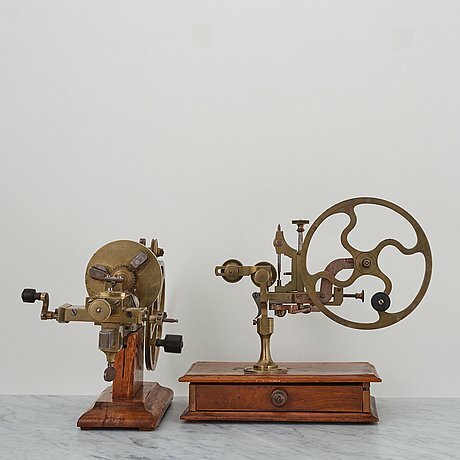 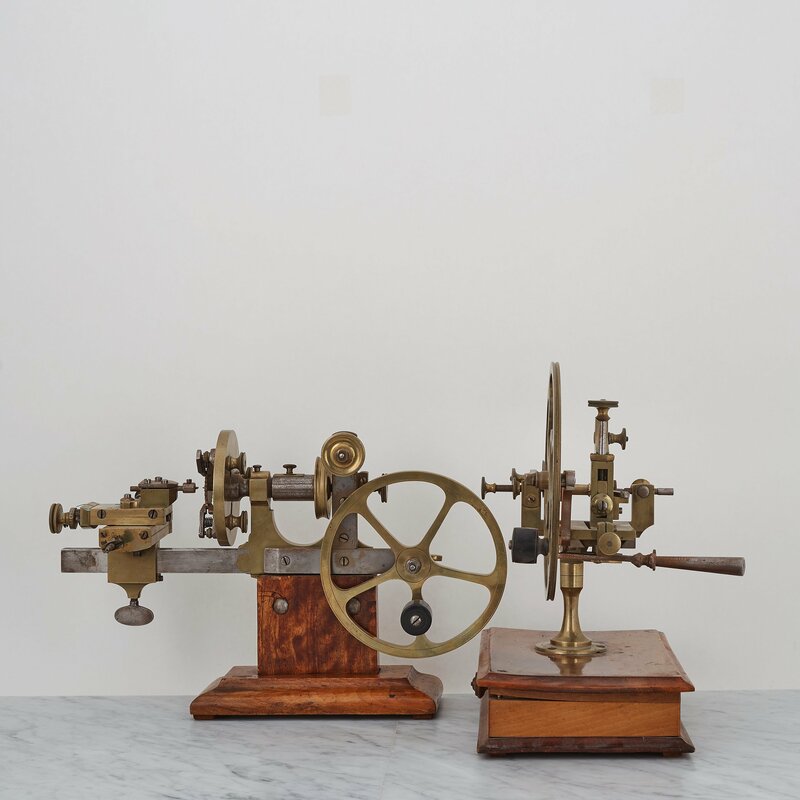 Pair finished in brass and steel, mounted on wooden base, circa 1880. One flat face engine with three clamps, 470 x 260 x 125 mm. 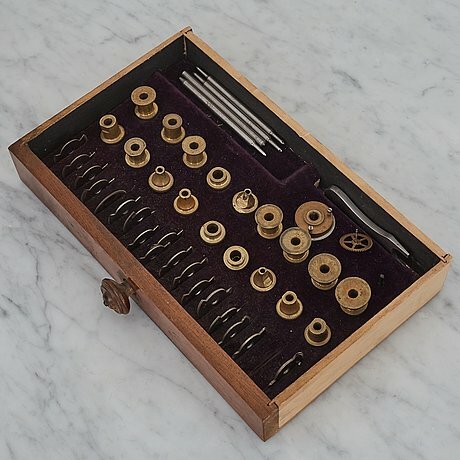 One Rounding up tool, 250 x 265 x 165 mm, tray with accessories.